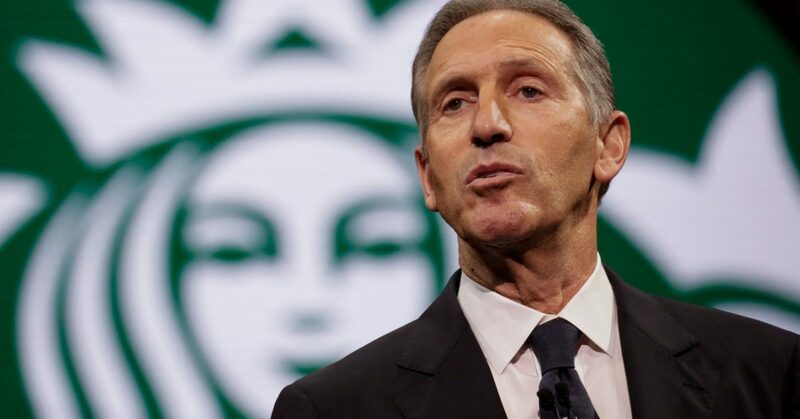 Democrats screamed “spoiler!” when former Starbucks CEO and Chairman Howard Schultz said more than a week ago that he was thinking about running for president as a centrist independent. John Weaver, a senior strategist for former Republican Ohio Gov. John Kasich, who also is considering running either as a Republican or independent in 2020, recently told CNBC that people shouldn’t jump to conclusions about Schultz’s potential candidacy. On a possible independent candidacy, Charlie Black, a senior advisor on Sen. John McCain’s and Kasich’s runs for president, agreed that Schultz would likely take votes away from the Democratic nominee. But he also stressed that it’s too soon to know what impact he will have in the next election. “Schultz probably pulls more votes from the Democrats, but there are a few upscale Republicans he might attract. Hard to say until he mounts his campaign for a while and there is a Democratic nominee” Black said in an email. “I doubt he can break 10%, even with a good campaign,” he added.